A 3/4-horsepower motorized winch is the standard operator for our EZ Fold basketball backstops. Our winch delivers 1250 lbs. of vertical line pull. 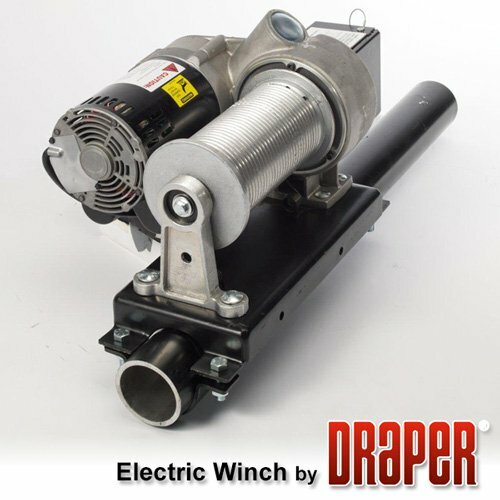 Winch is designed to hold the backstop at any position when raising or lowering the backstop. The cable drum is helically grooved for 1/4", 7 x 19 aircraft cable. The grooves provide proper spooling of the cable and ensure excellent repeatability of stop positions. The drum is equipped with a pressure roller with torsion spring tensioning. It ensures that the cable tracks in the grooves even under slack cable conditions. The winch has a direct drive, double worm reduction system with a sealed oil bath for extreme durability for a long life. Automatic limit switches control the distance of travel in either direction. A 3-position momentary key switch and cover plate is supplied with each motorized winch. 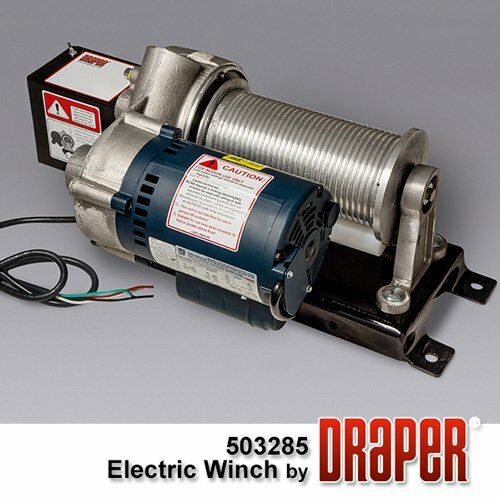 Winch is UL Listed and has a five-year warranty.